Now that Andrej Pejic has met the Queen, it’s only fitting that some other members of the Australian fashion flock get to mingle with the Royals. If you didn’t already know by now, Their Royal Highnesses Prince Charles and Camilla, the Duchess of Cornwall are en route to Australia with a whirlwind itinerary that will take in Tuesday’s Melbourne Cup – in fact the duo is due to present the trophy to the winner. Far less well-advertised on their Aussie to-do list is a Woolmark event on Friday 9th November at the Museum of Contemporary Art. To celebrate HRH’s patronage of the global Campaign for Wool, the Prince of Wales is scheduled to meet-and-greet approximately 100 wool figures, including notable industry figures such as Australian Wool Innovation chief executive Stuart McCullough and AWI chairman Wal Merriman. Scattered in amongst the wool dignitaries will be Australian designers Dion Lee, Akira Isogawa, Kym Ellery, Josh Goot and Camilla and Marc designers Camilla Freeman-Topper and Marc Freeman, each standing alongside one of their wool designs. In Lee's case he will present the wool coat-dress that recently scored him the regional crown of the International Woolmark Prize. Also front-and-centre at the MCA will be three North Ashrose Merinos wethers and a cutey-pie bottle-fed lamb, which are travelling 30 hours from South Australia for the occasion. 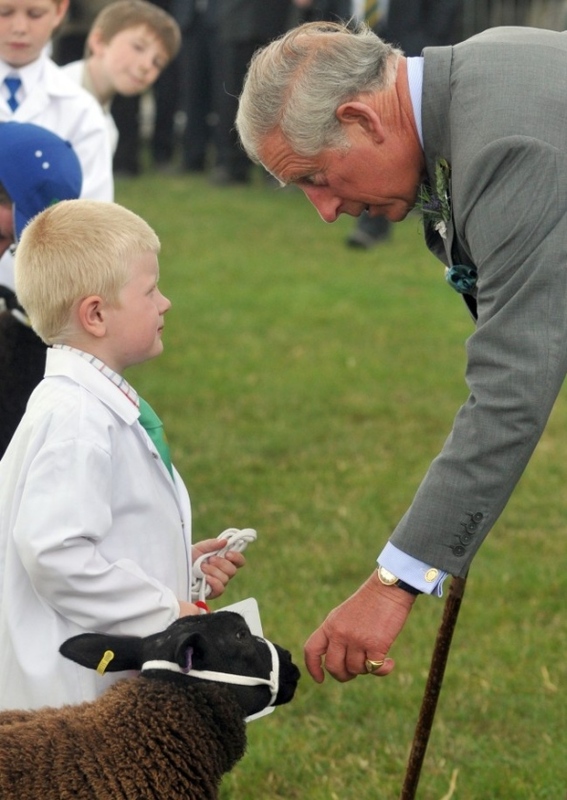 The wethers were named Charles, William and Harry by local students at the Booleroo Centre District School, two of whom will also get to meet the POW (as did the young sheep-handler at the Great Yorkshire Show last year, pictured above). The big question of course: will anyone turn up in a corgi outfit?